Over the weekend we moved into beautifully refurbished offices located in the same building as Newcastle's finest pub in the up and coming Lime Street area. We are totally exhausted after carrying desks, computers, filing cabinets and hundreds of boxes to the new place. Well we didn't actually carry them ourselves but oversaw the removal men and they did a great job. At least now we have a fantastic office and if our clients don't fancy meeting in our new plush boardroom we can meet them in the pub instead! Our neighbours are Generator Music Agency and charity Key Fund who are also based in the development so looking forward to working with them too. Our new address is Cluny Annex, 36 Lime Street, Newcastle. Tel 0191 231 4985. When a local business man approached us about launching a new pest control company we were itching to get started. Since teaming up with Uniquethinking, we are delighted that Dave Christie, the owner of Saxon Environmental Services has secured his first client , just a week after launching his business. Dave turned his back on being a hydraulic engineer and instead launched his own business to tackle those pesky pest problems across the North to help make unwanted wildlife a thing of the past. We were tasked with designing brand with a ‘viking feel’ as well as launching a new website and print materials. With a recent Daily Mail report revealing that a single train compartment houses 1,000 cockroaches, 200 bed bugs, 200 fleas, 500 dust mites and 100 carpet beetles, we can thank our lucky stars for Saxon. Do you have any pests? We can think of a few.. Saxon Environmental Services offer a free consultation and survey of your premises to discuss in detail how the team can help you. Call 0191 240 2430 for more information. One of the region’s top leadership and development facilitators is paving her way to success with the help of uniquethinking. Paula McCormack, who owns Newcastle based Paula McCormack Ltd, (formerly known as Ellmac) has relaunched the business with an innovative approach called The Adaptive which has resulted in a number of new contracts including property company, Gentoo. We've been busy behind the scenes repositioning Paula's business with a new brand, design materials, website http://www.paulamccormack.co.uk/ and communications strategy to relaunch her business which will all come together in a few weeks time. We will of course ensure Paula is the most promoted leadership facililiator as that's what we do best. The Adaptive was inspired by Paula’s experiences over the past 20 years of working with organisations, leaders and individuals. The dynamic new approach is designed to support and develop organisations and their people in order to transform working lives, using a more personal approach to business and offering clarity, vision and direction. 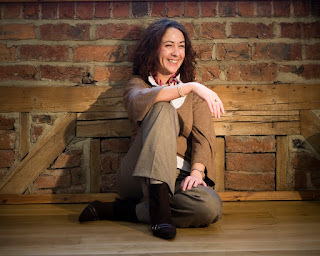 Paula said: “After 20 years of working in organisational and personal development, the time was right to set up Paula McCormack Ltd, and to launch a fresh new approach. I have been developing The Adaptive over several years and am currently turning my work into a series of books, downloads and audios . With the support of the uniquethinking team I've every confidence we'll be flying in a few months!". The first client to experience The Adaptive was Sunderland housing association Gentoo where Paula has been developing its Organisation Development team to improve their own coaching skills. 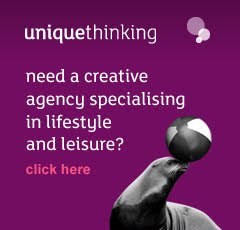 uniquethinking has been working with Paula for six years now and we're honoured to be managing her relaunch. Go for it Paula!